Pennsylvania U.S. Senate candidate Katie McGinty has picked up a major labor endorsement from the 60,000-member Service Employees International Union in Pennsylvania. McGinty is a former Pennsylvania environmental secretary who’s gotten plenty of endorsements from establishment Democrats, so the union nod is in some respects no surprise. 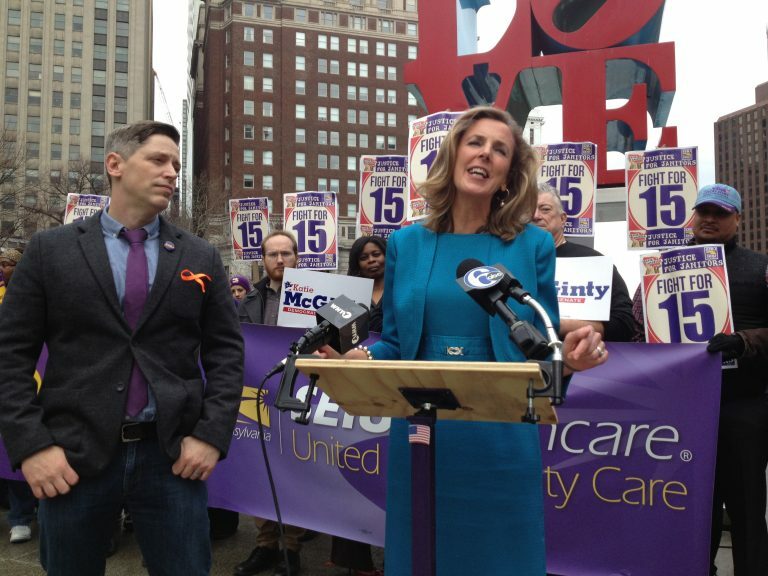 At a morning news conference in Center City Philadelphia, Neal Bisno, president of SEIU Health Care Pennsylvania said McGinty stood with fast food workers and airport employees struggling for better wages, and the union is with her. Former Congressman Joe Sestak and Braddock Pennsylvania mayor John Fetterman are battling McGinty in the April 26th Democratic primary. The union represents custodial and health care workers, and is active in progressive causes. Bisno said McGinty’s pledged to lead the fight for national $15 minimum wage and has stood strong for worker protections. I asked Bisno why the union didn’t consider endorsing Fetterman, who’s made economic inequality the centerpiece of his campaign and has endorsed Bernie Sanders for president. 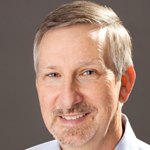 Bisno didn’t say it, but the reference to working with others evokes the central criticism of the other candidate in the race, former Delaware County Congressman and former admiral Joe Sestak. Many Democratic leaders regard Sestak as a maverick, and resent his running against the late U.S. Sen. Arlen Specter in the 2010 Democratic primary. Most leading Democrats endorsed Specter (who had recently left the Republican party) over Sestak. Sestak prevailed, but lost the seat to Republican Pat Toomey. The winner of the April 26th Democratic primary takes Toomey on in the general election.